Here we go again. 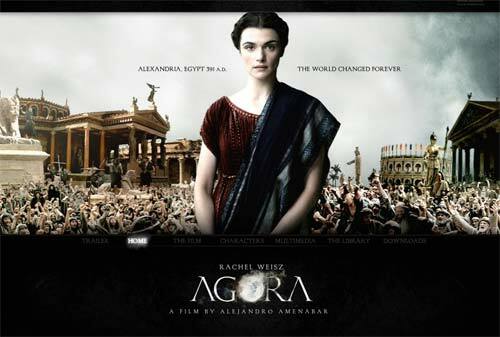 I just saw the new film “Agora,” which is a re-telling of the story of Hypatia, the brilliant woman philosopher from Alexandria, who was killed, supposedly by a mob of “Christians,” in the year 415. Along with the tales of Galileo and Giordano Bruno, the legend of Hypatia is a favorite of anti-religious ideologues. I first heard the story from Carl Sagan, the popular scientist whose multi-part program “Cosmos” was widely watched back in the 1970’s. David B. Hart over at First Things has more. This entry was posted in Anti Christian, Christianity, Movies and tagged Anti-Christian, Atheism, Carl Sagan, lies, movies, Myth. Bookmark the permalink.